As much as I love summer, I’d be lying if I didn’t say that my kids occasionally drive me nuts during this time of year. You feel me? Today I have a fun and easy pudding finger paint DIY for you! Without school to entertain their little brains, my kids quickly get bored; and I find myself frequently running out of things to entertain them with. But one activity that always keeps them entertained for more than just minutes at a time, is FINGER PAINT. 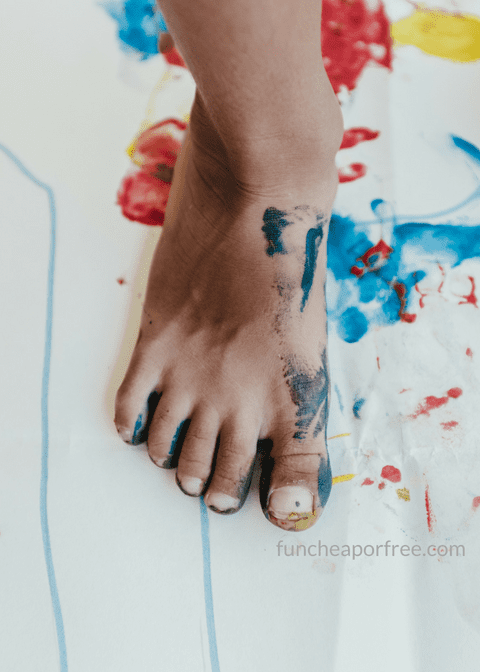 With so many different versions of DIY finger paint out there these days, it can be hard to choose which one to try. 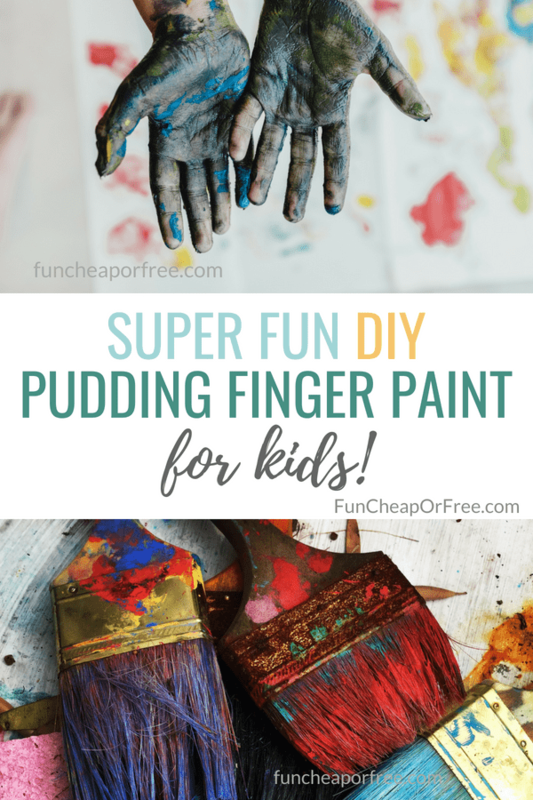 But recently, I discovered a fun pudding finger paint recipe that doubles up as both a really fun way to get the creative juices flowing and a snack. Because, let's be honest, kids put things in their mouths. So why not give them something that is also edible and counts as one less thing that you have to prep for your kids to eat? This little DIY art activity is honestly SO EASY – even your kids can even help you make it! Enough chatter, let's do this! Following the instructions on the box, make your instant pudding. Divide your pudding mix equally into your muffin pan. Put 4-6 drops of food coloring in each muffin cup and mix until blended. Set your pudding paint outside, on the table, or where you want your kids to paint and give each child their own piece of butcher paper. Step back and watch your kiddos make their masterpieces. OPTIONAL: Give your kids some edible finger foods (i.e. grapes, graham crackers, apples, etc.) to dip in their pudding paint and use as paint brushes. Once they are done using it, let them eat it as a snack. Again, this is such a simple, homemade, EDIBLE, easy-breezy activity that your kids are bound to love. Fun, right?! 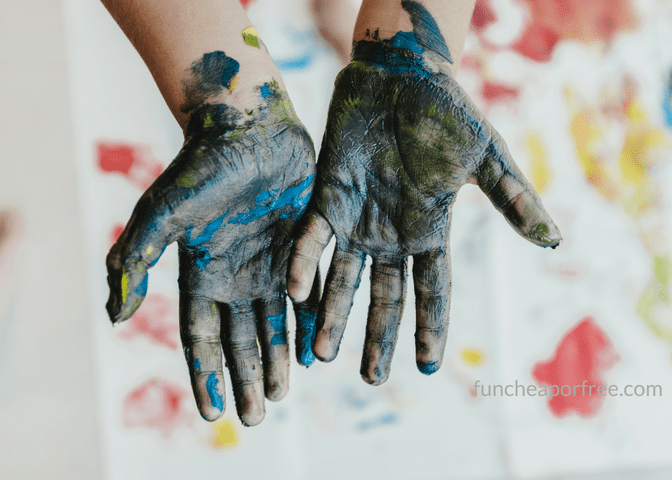 If you have any edible art activities that you and your kids love, let me know below and don’t forget to check out some of my other kid activities HERE, HERE, and HERE! MUAH! Does the food color stain their hands?